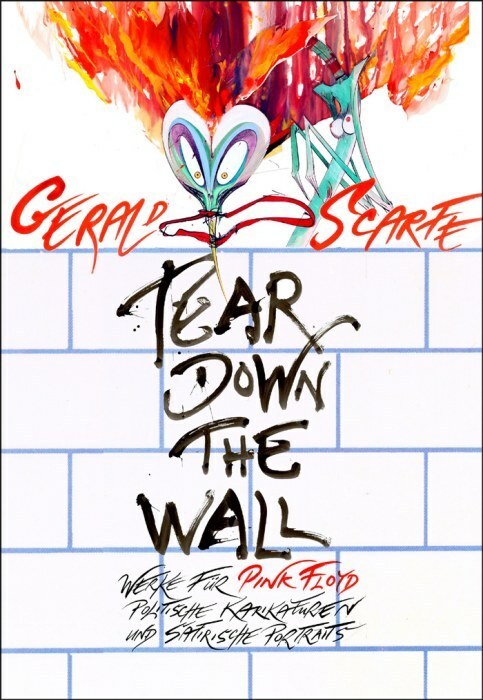 Pink Floyd news :: Brain Damage - Gerald Scarfe Tears Down The Wall! 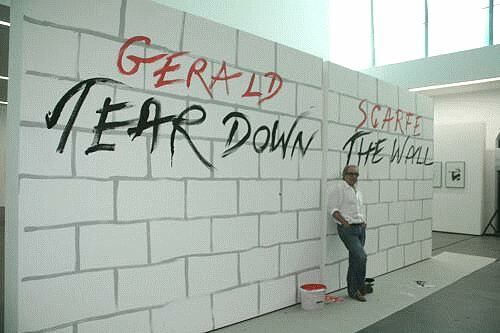 Gerald Scarfe Tears Down The Wall! 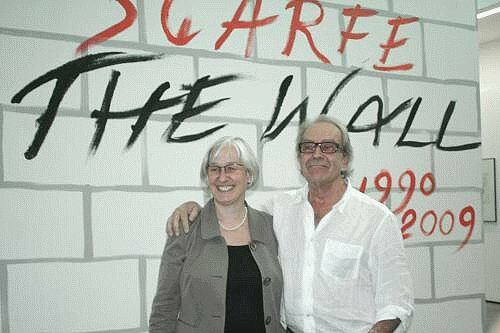 [STORY UPDATED] With Pink Floyd's The Wall celebrating 30 years since its release, and 20 years since the Berlin Wall tumbled, it's entirely fitting to hear that Gerald Scarfe's iconic art work is being celebrated in a new exhibition [click thumbnail, right] that runs from September 22nd, right through to November 15th, 2009, in Germany. 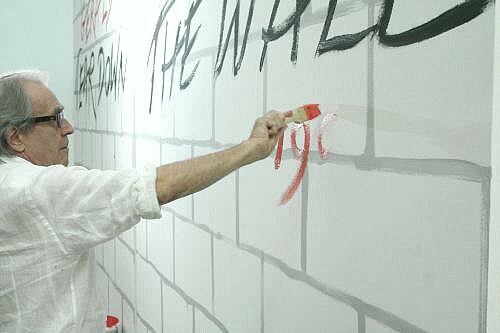 Tear Down The Wall will include original illustrations for the album, related concerts, and the film, along with his storyboards from the film, as well as rare memorabilia. The Floyd artwork will be complemented with some of Gerald's other work - political cartoons and satirical portraits. The Kunstmuseum des Landes Sachsen-Anhalt is located in Halle (Saale), and more information on the exhibition, and the venue, can be found at the official website.